Here's a quick and easy D.I.Y project for hat lovers like myself to try out! I chose to do black on black as always, but feel free to get creative and throw a veil on a neon or pastel beanie if this look is a bit too funeral-esque for you. 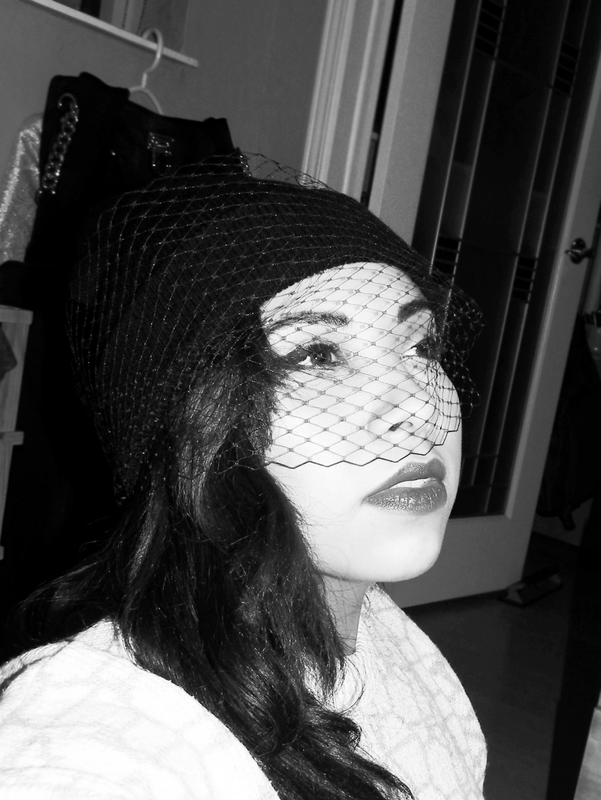 Measure the mesh to the circumference of your head (not the circumference of the beanie) and cut to fit. Leave a little bit of extra room so that the mesh netting won't be pressed against your face when you have your hat on. 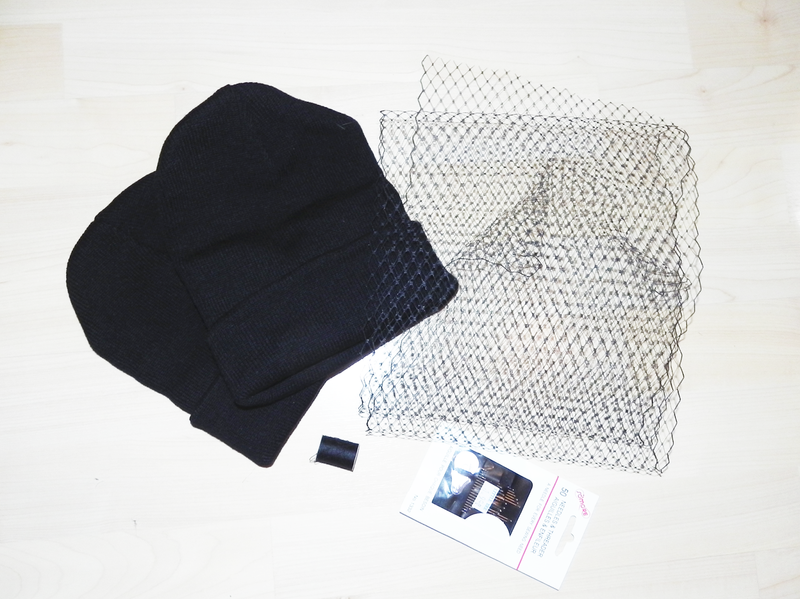 Fold your cut piece of mesh netting in half and lay it on a flat surface, then place your beanie in the centre. 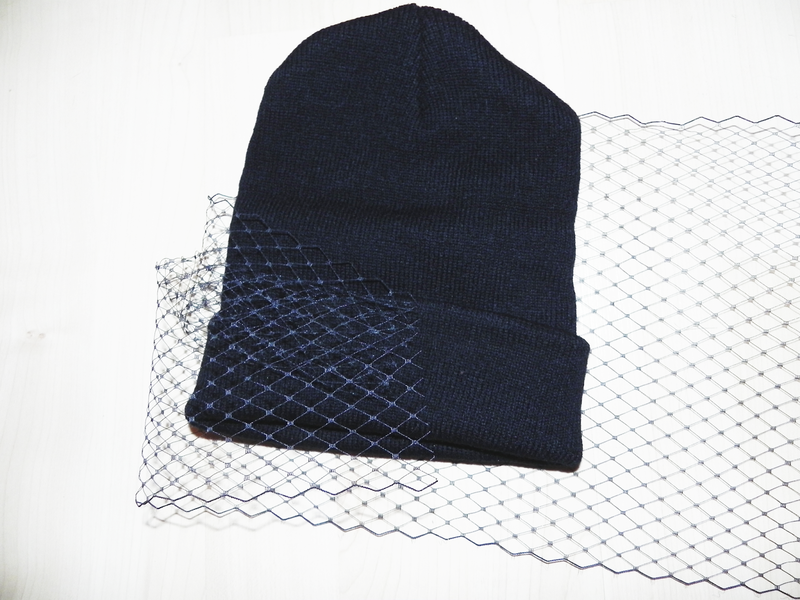 Stitch both ends of the mesh netting horizontally to the back of the beanie. Once the ends are secured to the hat, flip it over and unfold the front of the mesh netting. This should create pleats on either side of the hat. Put the hat on your head and adjust to your liking. Voilà! Let me know if you guys try this out. I'd love to see pictures of your results! Don't forget to follow us on Twitter and Instagram, and like us on Facebook!